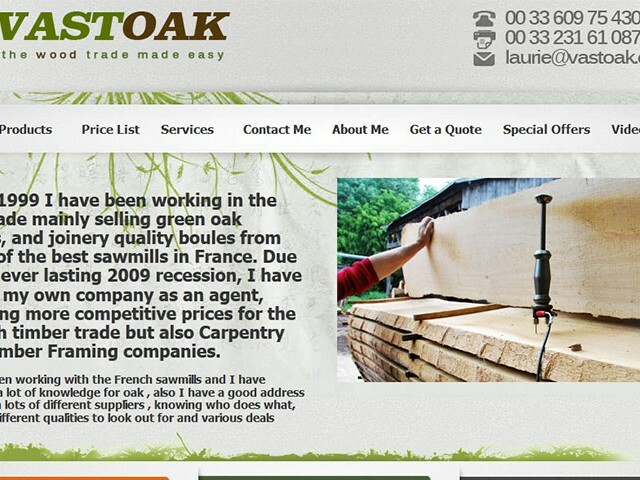 Laurie of VastOak has been working since 1999 as an independent agent sourcing high quality hardwood and softwood to trade throughout the UK. He is able to source any timber selected to your specification from several different mills, mainly selling green oak beams and joinery quality boules with competitive prices for the English timber trade as well as Carpentry and Timber Framing companies. VastOak has been maintained by Clocked Web Development since 2012 and runs on the Joomla CMS platform.